This 2.6 acre vacant lot,ideally located next to the Von's shopping center and directly behind CVS is now available at only $12/SF. This location is superior to any available commercial lot in the Nipomo Business District for hotel or lodging. Bring you hotel developers to this site to fully understand its potential. All retail concepts will flourish, including fast food. Outstanding location off highway 101 at Tefft in Nipomo. 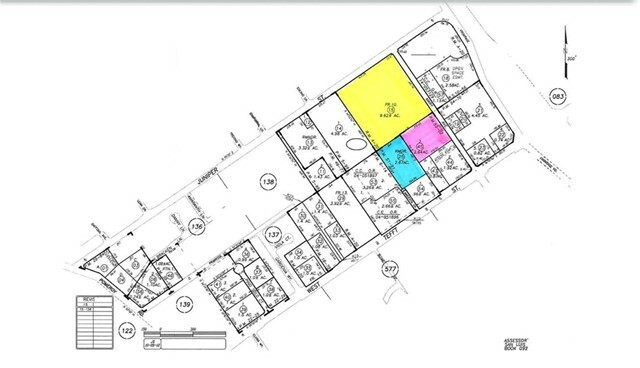 Existing neighboring uses include a Vons shopping center, US Post office, Starbucks and other retail support. Owner will consider JV opportunities for hotel uses. Three Vacant Parcels are available in Nipomo are located just West of Highway 101 and North of West Tefft Street. 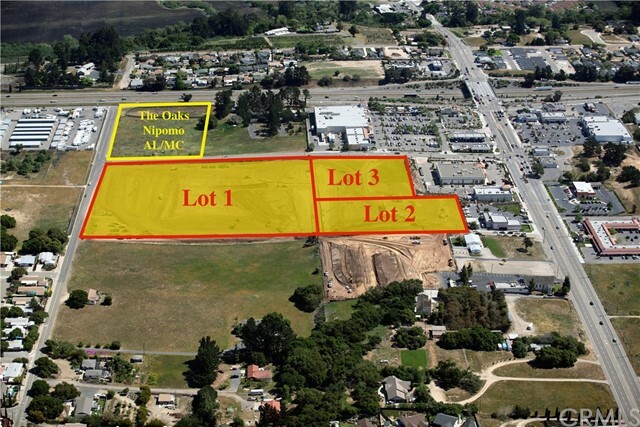 The three lots are bound by Juniper Street, Mary and Magenta Avenues in Nipomo, California. This site is on the Highway 101 corridor mid- way between San Luis Obispo/Pismo Beach and Santa Maria. Nipomo is home to two championship golf courses including Monarch Dunes in the Shea Home “Trilogy” Retirement Community. Population of Nipomo is approximately 20,000 within an average household income of $77,138. Based on information from California Regional Multiple Listing Service, Inc. as of June 08, 2018 . This information is for your personal, non-commercial use and may not be used for any purpose other than to identify prospective properties you may be interested in purchasing. Display of MLS data is usually deemed reliable but is NOT guaranteed accurate by the MLS. Buyers are responsible for verifying the accuracy of all information and should investigate the data themselves or retain appropriate professionals. Information from sources other than the Listing Agent may have been included in the MLS data. Unless otherwise specified in writing, Broker/Agent has not and will not verify any information obtained from other sources. The Broker/Agent providing the information contained herein may or may not have been the Listing and/or Selling Agent.